Micheline worked for 30 years in the Scottish Government on issues including state-faith relations and equality. She was instrumental in ensuring that Holocaust Memorial Day was marked distinctively in Scotland from its outset in 2001. In 2007 she took early retirement, retrained as a nurse, and now works full-time in the Royal Infirmary of Edinburgh. Micheline gives as much time to ScoJeC and her other communal appointments as her shifts will allow! She is an active member of the Edinburgh Hebrew Congregation, editor of the Edinburgh Star, the magazine for the Edinburgh Jewish Community, treasurer of the Edinburgh Jewish Literary Society, and has been on the SCoJeC Council as a coopted member for 5 years. Micheline is also one of SCoJeC's countersignatories for the Protection of Vulnerable Groups Scheme. Fiona was born and raised in Edinburgh, lived for 22 years in Dumfries and Galloway, and has lived in Glasgow for 17 years. She is a member of Glasgow Reform Synagogue where, alongside her husband Howard, she was Senior Warden and led services for a number of years in the absence of a Rabbi. She has been Hon Secretary (twice!) and a Vice President of the Glasgow Jewish Representative Council; Secretary, Treasurer and Chair of Limmud Scotland; an employee and Council Member of SCoJeC; and has been heavily involved for a number of years in the Scottish Jewish Archives Centre where she is currently Office Manager, Visitor Guide and Volunteer Co-ordinator. 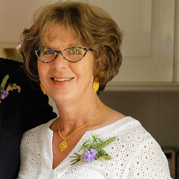 She is also a partner in her husband's jewellery business and a wedding and funeral celebrant. Mother of 5, stepmother of 2 and grandmother of 5, when she has any spare time she loves travel, walking on the West Coast of Scotland, gardening, sailing, kayaking, table tennis, sewing, knitting, painting, reading and studying. Simon Dover was born and brought up in Liverpool, studied medicine in Birmingham, and has lived in Scotland for more than 20 years. He and his wife Sharon, a solicitor, are members of Giffnock Synagogue. Their elder son recently began secondary school after seven years at Calderwood Lodge Jewish Primary School, where their younger son is still a pupil. Simon is a physician and gastroenterologist in Glasgow, and represents Jewish Student Chaplaincy Scotland on the SCoJeC Council. 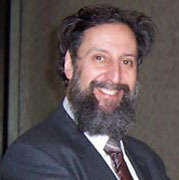 Raymond is the current Chairman of the Board of Management of Edinburgh Hebrew Congregation, and has previously held the position of Treasurer. He was born in Falkirk in 1952 and educated at Falkirk High School. After leaving school he went into the family business retailing furniture, which is still his occupation today. Raymond is a keen snow and water skier, and has been a judge for the British Water Ski Federation. He married his wife, Jackie, in 1988, and they have two children. Nicola is Co-President of the Glasgow Jewish Representative Council. She studied Psychology and Social Economics, followed by a Diploma in Community Education. She has worked with Strathclyde Region Council and Glasgow City Council Social Work Departments, both in direct service provision and Commissioning and Contract Management of new services for people with disabilities. For the last six years she has worked for the Glasgow Homelessness Partnership on a ground-breaking programme which saw the decommissioning of the large homeless hostels in Glasgow and the development of an extensive range of more appropriate housing and support services. Her particular area of work has involved services for young adults with complex needs. She has been involved with Cosgrove Care in both professional and voluntary capacities for fifteen years, and is currently a member of the Board of Management and chairs the Professional Advisory Group. She has had a long involvement with Jewish Student Chaplaincy, and is currently Chair of the Northern Region Board. 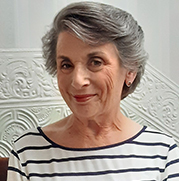 Debby is a committee member of Aberdeen Hebrew Congregation, gives guided tours of Aberdeen Synagogue, visits schools to talk about Judaism, and was a volunteer lay advisor on diversity to Grampian Police. She lived in Leicester from 1991 to 2003 where she was a member of the Ladies Guild of Leicester Hebrew Congregation, and worked as a Clinical Nurse Specialist in Drugs and Prostitution, winning awards for her work in Health Promotion, and with prostitutes and abused young women. Originally from Dundee, Debby and her family returned to Scotland in 2003, where, after retraining as a Proof Reader she worked for a large operator in the North Sea oil industry. She took early retirement in 2014 in order to focus on her many interests, which include volunteering with the charity D.A.W.G.S. As its Convener of the grandly-titled Standing Committee of Scottish Jewry at the time of Devolution, Ephraim led its transformation into SCoJeC, which is now a democratic representative body with the authority to speak on behalf of the entire Jewish Community of Scotland. Elsewhere in the Jewish Community he has been Vice-President of Glasgow Jewish Representative Council, Chairman of Giffnock Synagogue, and chair of the Regional Deputies of the Board of Deputies, and was awarded an MBE for his service on behalf of the Jewish Community. Ephraim chairs the National Independent Strategic Advisory Group (NISAG) that advises Police Scotland on diversity matters including hate crime, and is a member of the Employment Tribunal. He has been Convener of Bemis, the Scottish ethnic minority umbrella organisation, a member of the Race Equality Advisory Forum set up by the first Scottish Executive, and the Scottish Committees of both the EOC and CRE. Before his early retirement from Glasgow University, Ephraim was head of the Philosophy Department, a member of Court, and President of AUT. He is the joint author of the Collins Dictionary of Mathematics, and has been Convener of the Scottish Education Forum, a Governor of Hutchesons' Educational Trust, a Lay Member of GTC(S), and President of the Royal Philosophical Society of Glasgow, of which he was made an Honorary Member - only the third since Einstein! Ephraim is also one of SCoJeC's countersignatories for the Protection of Vulnerable Groups Scheme. Leah joined SCoJeC in 2003 on a one-year temporary contract and still hasn't left! She enjoys playing the flute, recorders, and piano, has a degree in music, and is particularly interested in the music of the troubadours and trouvères. She worked with the National Childbirth Trust and later with the Breastfeeding Network for 22 years, and was a member of the (pre-Devolution) Scottish Office Breastfeeding Strategy Group. 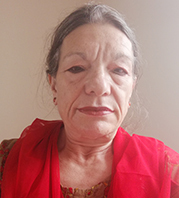 She has also worked as freelance trainer in counselling skills and group dynamics for the NHS and other organisations. She has four children, and fourteen grandchildren. Leah is also one of SCoJeC's countersignatories for the Protection of Vulnerable Groups Scheme. Fiona was born in Preston but her father was born in the Gorbals in Glasgow so she has good Scottish heritage! 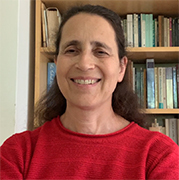 She has a BA in European Studies from the University of Bath, an M.Ed from the University of Sheffield, and has just finished a PhD at the University of Strathclyde which involved looking at transmission of Jewish identity through five generations of one extended Scottish Jewish family. 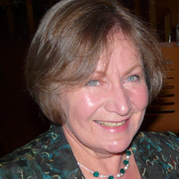 She worked for many years at Lancaster University in the areas of adult literacy, adult learning, and learning for older people. She is part of an ecological cohousing project, plays Klezmer, Irish, and European music on concertina and melodeon, and is involved in the promotion of the art of her aunt, the late Glasgow artist Hannah Frank. Linda grew up in NW England, but also spent a lot of time in Aberdeenshire and Morvern, where she now lives. Formerly a Secretarial Executive with an international company, she later trained as a Remedial Therapist. Since being introduced to voluntary work through WIZO as a teenager, Linda has volunteered with a wide range of organisations including the National Union of Students, Royal Observer Corps, Women’s Institute, Harris Museum, Preston Playhouse, Ribble Valley Conservation Group, Scottish Wildlife Trust, and more recently SCoJeC as Voluntary Ambassador for the Highlands and Islands. She frequently visits schools and other organisations to talk about Judaism. Joanne has a degree in Jewellery Design and Metalwork. After art college she gained funding from the Prince's Scottish Youth Business Trust to set up as a self-employed designer jeweller. After retraining as a secondary school art teacher, Joanne worked in local high schools teaching Art and Design, and Enterprise for eight years before becoming Education Centre Manager for a soft drinks manufacturer. In this role she designed and delivered curriculum-based lessons in and about a manufacturing site. Joanne is mum to a beautiful wee boy, and wife to an eccentric professor. She loves to cook and eat, and to travel, and she still designs and makes contemporary silver jewellery, and sometimes mezuzot. Melissa was born in West Lothian but moved to Edinburgh aged ten and has lived there ever since. She has a degree in History from The University of Edinburgh and wrote her dissertation on the European Witch Hunts. After graduating in 2008, she pursued a career in marketing and PR, as well as producing shows as part of the Edinburgh Fringe in her spare time. 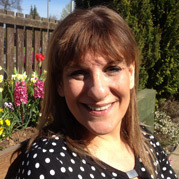 Melissa is a member of the Edinburgh Liberal Jewish Community, Sukkat Shalom, where she is a registered Cheder teacher. She also served on the Sukkat Shalom Council but stepped down in 2016 to embark on an MSc in Criminology and Forensic Psychology at Edinburgh Napier University. She is currently writing her dissertation on children who abscond from care and is due to graduate this year. 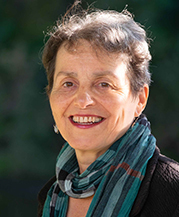 Hilary is the immediate past Chair of SCoJeC, a past Chairman of the Board of Management of Edinburgh Hebrew Congregation, and is the first woman to lead the Synagogue. She was born and educated in Newcastle upon Tyne and came to Edinburgh in 1968 after her marriage to Arnold Rifkind, an optometrist. She has spent most of her professional life teaching Mathematics at George Watson’s College and has always been involved in communal work, ranging from Maccabi leadership in her teens, to Jewish Students, then WIZO, the Communal Centre Committee, Edinburgh Hillel Committee, the Ladies Guild, of which she has been Chairman for many years, and, since her retirement, convenor of the Shul Events Committee. Hilary and Arnold have two sons and four grandchildren who live in America. Alan has had an interest in interfaith relations for more than 20 years, and is currently the Hon Secretary of Interfaith Scotland. 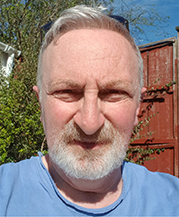 He is also the Hon Treasurer of Northern Region Jewish Chaplaincy, a post he has previously held for both the Council of Christians and Jews in Scotland, and Giffnock and Newlands Hebrew Congregation. He was born and brought up in Glasgow and is a graduate of the University of Glasgow. 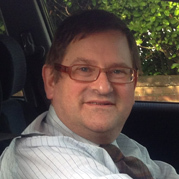 Alan has worked in accountancy and information technology in both small companies and large multi-international organisations. 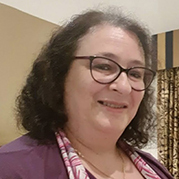 Sue is Operations Manager for Maccabi GB Scotland as well as sitting on the Management Board for the Glasgow Jewish Representative Council and Managing Trustee for the Jewish Youth Fund (Scotland).